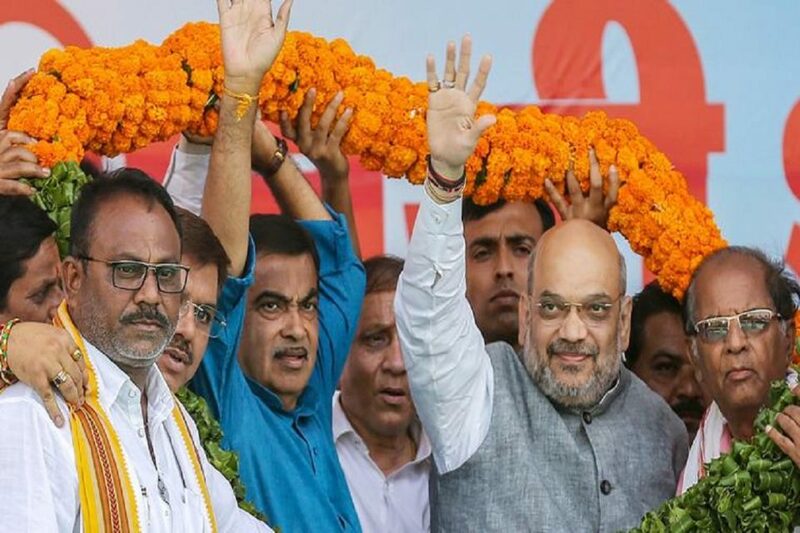 Amit Shah’s remark was an apparent reference to the large number of Indian Union Muslim League flags seen in Gandhi’s procession when he filed his nomination papers from Wayanad on April 4. Stepping up his attack on Rahul Gandhi, BJP president Amit Shah Tuesday likened Wayanad, the second seat from where the Congress president is contesting, to Pakistan, saying “when a procession is taken out, you cannot make out whether it is India or a Pakistan procession”. This was an apparent reference to the large number of Indian Union Muslim League flags seen in Gandhi’s procession when he filed his nomination papers from Wayanad on April 4. Addressing a rally in Nagpur, from where Union Minister Nitin Gadkari is seeking re-election, Shah said: “Aur yeh Rahul baba apne gathbandhan ke liye, Keral ke andar aisi seat par jaakar khade juloos nikalta hai toh Bharat hai ya Pakistan ka juloos hai. Maloom hi nahin padta, aisi jagah jaake khade hain.” (“And this Rahul baba, for the sake of his alliance, has gone to such a seat in Kerala where when a procession is taken out, you cannot make out whether it is India or a Pakistan procession. You cannot make out, to such a seat he has gone”).